4. In the Domain name text box, type the domain name for the site. Website hosting: This option enables you to host a website and e-mail services. Forwarding: This option enables you to redirect traffic from one site to another site. This option is useful if you want to send traffic to another site that is hosted on a different server. 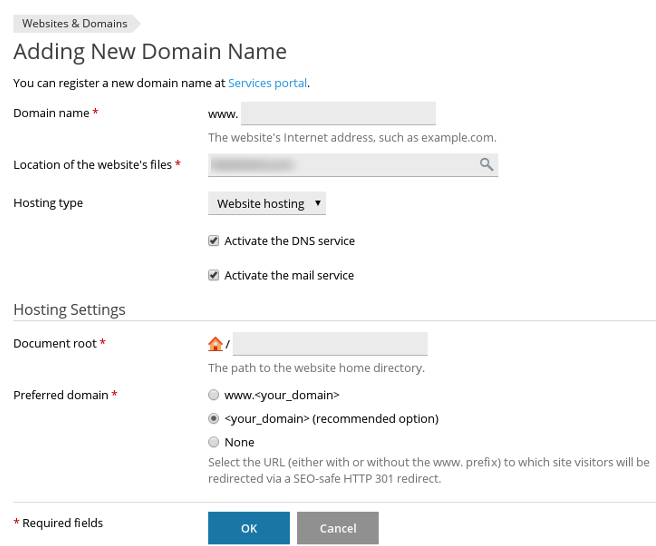 No hosting: This option enables you to host DNS and e-mail services, but not a website. 6. Confirm that the Activate the DNS service and Activate the mail service check boxes are selected. 7. 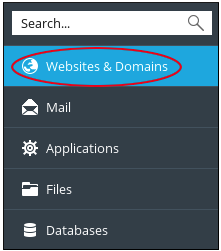 Under Hosting Settings, Plesk automatically completes the Document root and Preferred domain options. Confirm that they are set to the values you want.